The news is still coming in, like all major news stories. At first you just hear what happened. Then slowly details emerge. Days later, a more accurate picture is revealed and we can see clearly the events, how they happened, and why. Bahahaha. That’s totally a lie. Everything is instantaneous now, thanks to Twitter. Today at around noon I was sitting at the pharmacy with my son, waiting for his prescription to be filled (how I wish there was a pharmacy called Chelsey Drugstore; that would have made this story so much more interesting). 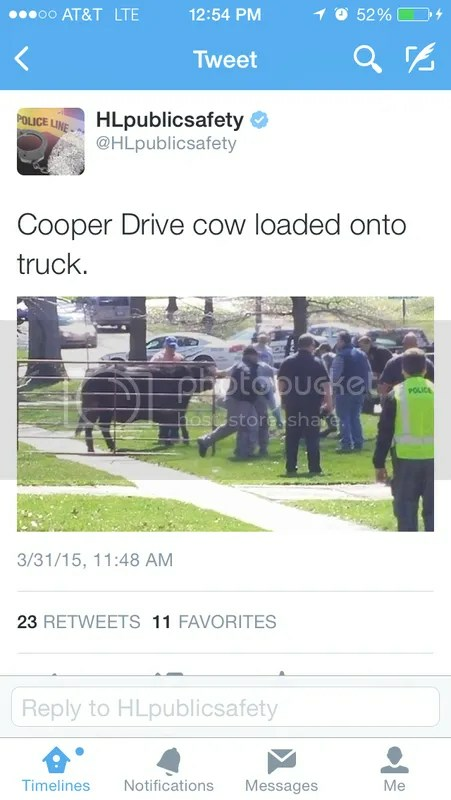 Here in Lexington, I work on Cooper. It’s a fairly busy road, semi-residential, and semi a major artery through the University of Kentucky (obligatory Go Cats!). Nearby is the football stadium, baseball stadium, tennis stadium, and a lot of new dormitories. Oh and the university pool. And the old ag research station, and some sort of barn that has to do with agriculture. 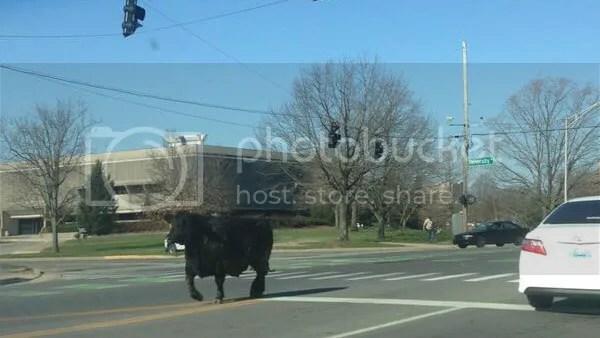 So there Christopher and I sit, and the news that a cow is abroad on campus reaches us. 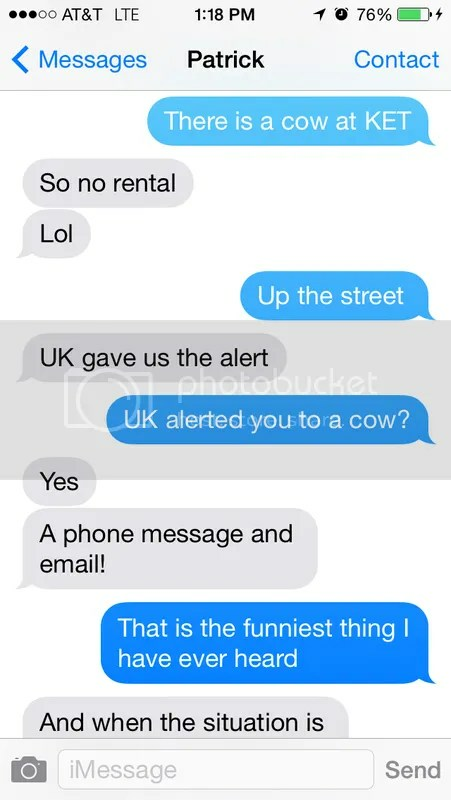 I am in the middle of a text about Christopher and his illness with Christopher’s dad, who works at UK. He already knew. Moments later I hear from my daughter, who is currently up the road in Louisville. 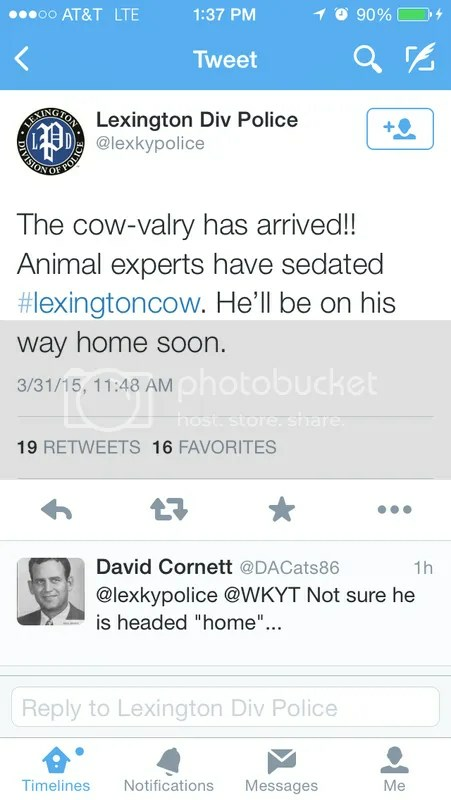 By now there’s a hashtag — #lexingtoncow. And an abundance of sorry puns. 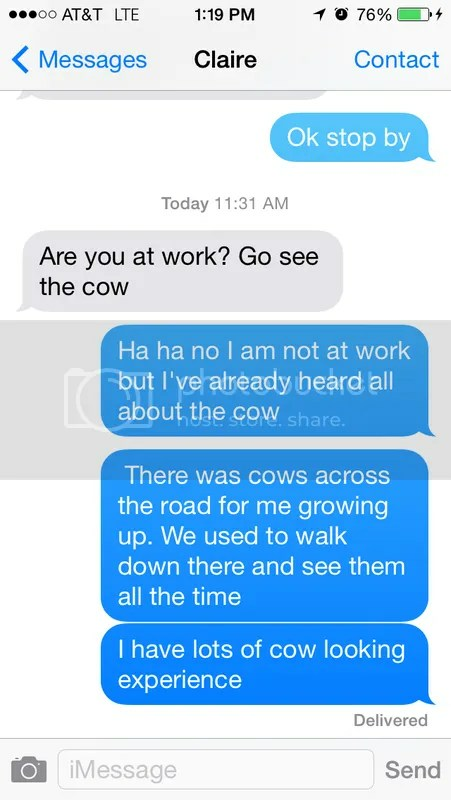 I get to work, finally, and all I hear is cow, cow, cow. People on the street side of the building apparently went out and tried to round him up. I haven’t talked to them yet but stay tuned for updates. And guess what. 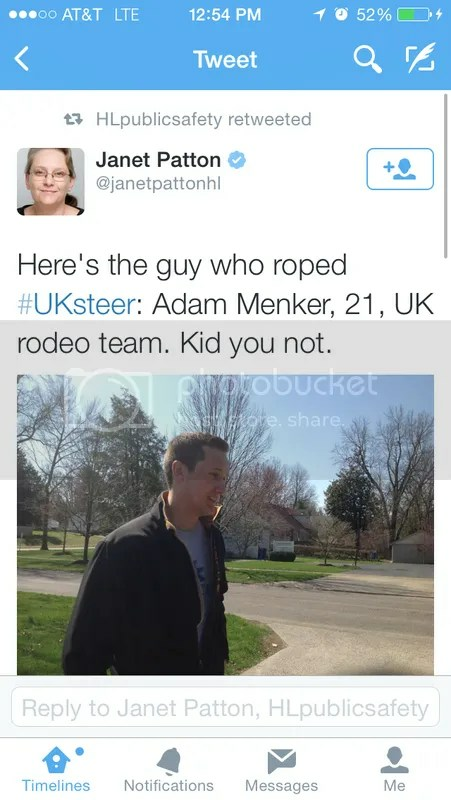 A COWboy is the one who rounded the cow up. Yessiree, pard’ner, a COWBOY. 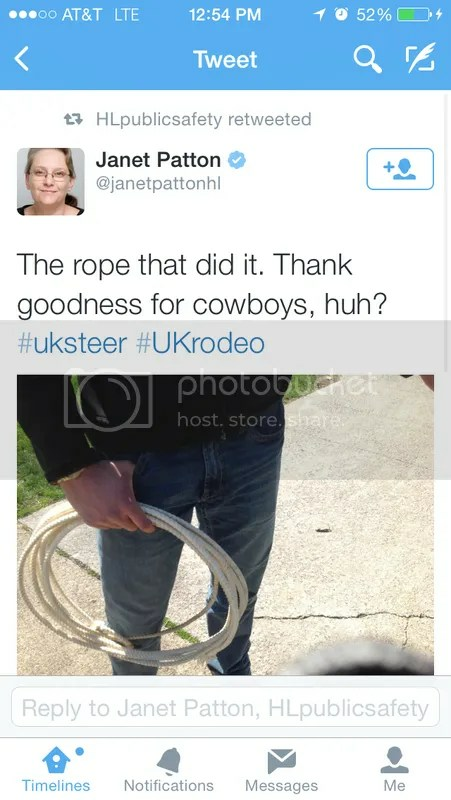 And finally, folks, we have the ROPE that actually lassoooed the cow. I know this to be a true fact, too, because as I drove down Cooper Drive on my way in, I saw a news videographers (all three local stations were there) shooting this very rope for tonight’s broadcast. I don’t think I’ve been this entertained since I had emu burgers at the state fair back in ’99. Follow me @SoileauLite. For all the news that may or may not fit.